When the time comes to pick out a cremation urn for a deceased relative, you might actually find yourself surprised at the variety of options available. From materials, to style, to themes, there are loads of urn options available following a St Albans, WV cremation. Here’s a look at some of the most common materials for urns as well as some things to consider for deciding. Wood is a popular material for making cremation urns. In terms of specific types of wood, common options include, but are not limited to, oak, poplar, maple, mahogany, walnut, elm, cedar and cherry. Do you intend to keep the urn inside where it will be on display? A wood urn is perfect for such purposes. You also need to decide between hardwood and softwood. The former, while more expensive than the latter, is also more durable than the latter. Another plus is that there’s usually the option to have the surface of a wood urn engraved, which can be a nice touch if you want to personalize the urn of your deceased relative. As for maintaining the urn, you’ll only need to wipe it down using a dry cloth. If you want to go the extra mile, you may use some furniture polish on it every now and then to ensure that it maintains its natural luster. Ceramic is a common material out of which urns can be manufactured. In fact, it might be the most popular material for such purposes. Ceramic urns are aesthetically pleasing, feature an opening lid that may be sealed using adhesive and can be designed in unique shapes. Something to be mindful of, however, is that ceramic urns are delicate. This means that you’ll have to be more mindful of placement if you plan to keep the urn in your home. In order to maintain it, you’ll only need to occasionally wipe it down with a dry cloth. Would you like to keep the urn outside? If so, you’ll need a durable urn so that it’s able to withstand whatever the elements throw at it season after season. Metal urns can be made from stainless steel, brass, copper and other types of metal. Because of their durability, they can be kept outdoors or indoors if you prefer. 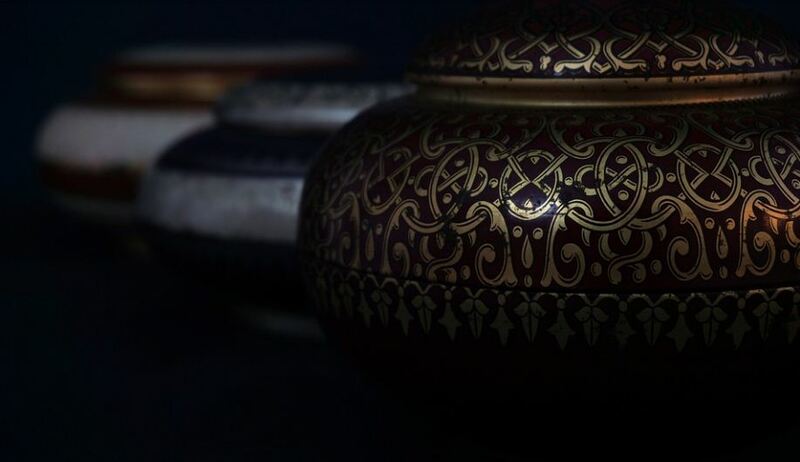 Another benefit is that metal urns are usually coated with a layer of lacquer or paint to help them maintain their natural luster. You can wipe them down with a dry cloth every now and then so that they continue to look great. If you’re looking for cremation service, an urn and related products or services, look no further than Barlow Bonsall Funeral Home & Crematorium. We’ll work with you to plan the St Albans, WV cremation you’re looking for, and we have an extensive selection of quality urns that we’d be happy to show you. Get in touch by phone at (304) 342-8135 or visit us in person at 1118 Virginia St E Charleston, WV 25301. We’re the only crematorium in Charleston, and we aim to offer unparalleled customer service. When you need to plan final services for someone you love, you know who to contact.